As a customer researching landscaping companies to complete your project, how do you know if they are genuine or rogue? You will see a number of us have affiliations with independent organisations. Association of Professional Landscapers (APL), Marshalls Register and the British Association of Landscape Industries (BALI) to name a few. You may be asking yourself what do these mean? Why would you care if your landscaper was affiliated or not? This is just one sign that could determine a rogue landscaper from a genuine landscaper. Let’s Look At the APL and What It Means For You. 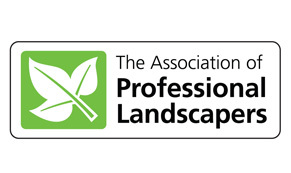 “The Association of Professional Landscapers is a trade body affiliated to the Horticultural Trades Association, which promotes the highest level of standards within the industry. To become a member, a landscaping business must have been trading for at least two years and go through a rigorous inspection process. The process starts by obtaining six separate client references, followed by site inspections ensuring that members are adhering to all health and safety requirements, workmanship is of the highest standard and the business is being professionally run. Once the business has been accepted as a full APL member, it undergoes an annual inspection, site based and office based. This annual inspection ensures high standards are maintained in order to meet continued membership. The vetting process is so rigorous that the APL is the only landscaping trade body whose members have been accepted by the Government backed TrustMark accredited scheme. TrustMark ensures the association maintains its standards by checking those of its members. TrustMark also ensures that the client can be confident that should something go wrong, there is a complete ADR (Alternative Dispute Resolution) facility available to them. Essentially, in an unregulated industry such as landscaping choosing a landscaper that chooses to be an APL member gives you peace of mind. It also gives you the knowledge that you are dealing with a professional company who competently and consistently install to the highest standards. 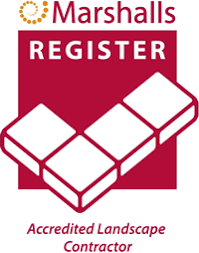 As a company Aura Landscapes choose also to be a part of the Marshalls Register of Accredited Landscape Contractors and Driveway Installers. This gives our customers further back up with the paving manufacturing giant Marshalls. Using one of their accredited installers means you are choosing a landscaper that is strictly monitored and vetted to assess their levels of competence and performance. Assessments occur on a regular basis. There are many cowboys and rogues in the trade and unfortunately it is easy to be caught out by one, particularly if you are buying on price. Just be aware and do as much background checking as you can before employing a landscaper’s services. The cost of a cheap, poorly installed job can far outweigh the cost of a well installed, well executed more expensive job in the long term.